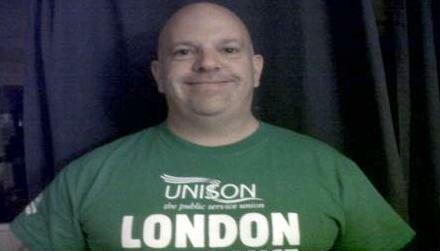 Can all UNISON Branches in London who support the forces of light and reason against the evil ones (aka miserablists) please consider nominating Jason. You can download a nomination form from here. It needs to be signed by 2 branch officers who are Labour Link members (including the Link officer if you have one in post). Don't worry about the election statement or candidate form, Jason will send that direct to UNISON HQ. His RMS number is 4565268. The form needs to be returned by Friday 14 June by email (elections@unison.co.uk) or post or fax. I am writing to ask your branch to consider nominating me for the London seat on the National Labour Link Committee. My name is Jason Anderson and I work as a Frontline Ambulance Technician and have been a member of the London Ambulance Service’s ‘Hazardous Area Response Team’ for the last two years. This involves attending to casualties in many different environments’ i.e. Fire Incidents, Water, and Decontamination, Biological, Chemical, Nuclear and mass casualty. I am now in my 13th year in the London Ambulance Service and have seen many changes to staff working conditions like the introduction of ‘Agenda For Change NHS’, and now the prospect of restructuring across the Service (mainly due to the financial cuts being forced on the NHS by the Conservative/Lib Dem Government). I am acutely aware of the role we as a union have in demonstrating the effects Con/Dem policies are having on our members and the services we deliver. We have a key role to play in building opposition to the Government and enabling Labour to win the next election in 2015. I am a committed trade unionist, first joining after leaving school and starting work on a ‘Maggie Thatcher’ YTS Course (which not surprisingly didn’t last!) and have held numerous UNISON roles including Station Representative, H&S Representative and Branch Labour Link Officer for the past two years. I am a life long supporter of the Labour party and have been a party member for the past few years. I have recently moved home and my CLP has changed from Mitcham and Morden (where I have supported Siobhain Mc Dough MP with the ongoing campaign to keep the A/E and Maternity departments open at St Helier Hospital) to Epsom and Ewell where I am already getting involved in campaigning around the local Elections. Labour in Government delivered real improvements for our members, but, Labour needs to change and do more to win the General Election in 2015. We need an alternative economic policy. I believe in supporting the Party, but also in campaigning for or against change where it impacts on our members. Represent the views of APF payers in the London Region. A Labour victory in 2015 must be a priority for us all. We must get rid of this Tory led Coalition Government determined to destroy our public services and welfare state before they do any more damage. I hope your branch will consider nominating me. Thank you for taking the time to read this.